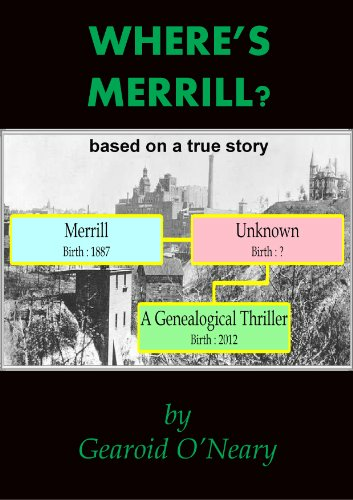 “Where’s Merrill?” is a uniquely crafted mystery thriller based upon real life historical events. In fact, it is two inter-related stories in one novel set in different time-frames, namely the past and the present. 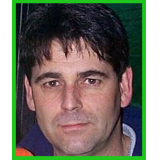 An Irish genealogist called Jed is commissioned by Tim, an American client, who needs to understand more about his mysterious maternal ancestry. Fate had dictated that Tim never got the chance to meet his grandparents, and he didn’t even know the name of his mother’s father. She refused to tell Tim, even on her death bed. Why? That was a question which troubled Tim as he witnessed his mother's melancholy throughout his adult life, and after her death he resolves to find some answers - and some peace of mind. It was also a question which intrigues Jed after he learns that Tim’s grandfather simply “disappeared”. No death record, no burial - nothing. Jed identifies the “missing” grandfather to be Merrill Harrison. Within weeks, Jed becomes obsessed with Merrill’s life, as he embarks on a personal crusade to find Merrill’s resting place on Tim's behalf. More fundamentally, Jed needs to fully understand the complex twists and turns linked to Merrill’s existence and eventual disappearance which take the Irish researcher on a fascinating trail stretching back to the pioneering immigrants of Midwest America all the way to the White House during WWII. A web of worrying deceit woven by Tim’s ancestors is gradually unraveled. Once hidden family secrets are exposed. Jed turns from genealogist into cold case detective as he comes to the conclusion that multiple criminal misdeeds have been covered up … but where is Merrill? Where’s Merrill? A Genealogical Thriller by Gearoid O’Neary is a cross between a research paper and a mystery. I really did not know what to expect with this book initially, but was won over fairly quickly. Trying to find Merrill in a family history reminded me of my days a history major and searching for minor historical figures. In fact, my classmates and I had done this sort of thing so often in so many Latin American history classes that this research took on its own name. No matter who we were researching, the joke was his name is Juan Obscuro. So reading about someone searching down a person using historical records was not that intriguing to me. The author, as the main character, searching for someone else’s Juan Obscuro really seemed monotonous to me. But, my initial thoughts were wrong. Jed, the main character, was a former engineer riding high on the building boom in Ireland when it crashed. Corporate backlash and Jed’s feeling of duty to his people, left him out on the street. He, in turn, turned a hobby into a career: Genealogy. Well, here was something positive I could relate to. I was a project manager riding high on the telecom wave when it crashed, and likewise, I found myself unemployed. 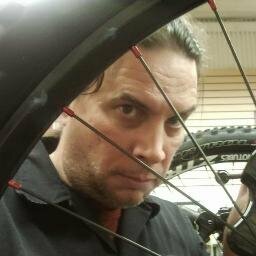 I turned my hobby into a career: Bicycle mechanics. I was surprised that someone could earn a good living researching people’s past as I am sure that people are surprised a bicycle mechanic can earn a good living. Anyway, that sealed my bond with Jed, and his wife Susan. No high-life, but real hard working people and a reasonably good life. Tim is the American, who asks Jed to help find his past. Tim’s mother, when she was alive, hid her family’s past. Now that she was gone, Tim could discover his past without upsetting his mother or going against her wishes. Here too, I was pleasantly surprised. Jed and Sue had a far more interesting time researching Tim’s family than I ever did researching Juan. The history crosses the American Midwest, from Iowa and up in to Minnesota. It spreads to California and Washington, D.C.. There are several twists and turns in the research too. What is expected and reported is not always what happened. Merrill, is a particularly difficult subject to track and not always by accident. The story jumps back and forth between Jed and Susan and the search for Merrill. The Jed’s and Susan’s story runs chronologically. The genealogy part of the story jumps back and forth as new pieces of information are found and new family members are found and traced, but it does flow very logically. I was expecting a novelization of a dry research paper when I started this book. I was pleasantly surprised by the actual story. It was far more than I could have expected; interesting is an understatement. The writing is very well done, although at the beginning chapters the conversation seemed a little forced, but that impression also disappeared as I read further in the book. I also found the process of the research interesting too. I never realized that there was that much of an infrastructure for records going that far back. I had expected many records to be lost, destroyed, forgotten, or just simply no longer worth keeping by the local government. A very interesting read whether you are interested in genealogy or not. The story resulting from the search is definitely worth the read as historical fiction — the research is real — the names have been changed and conversations inserted. Very well done. Joe awarded “Where’s Merrill?” four out of five stars – but as he readily admits, the Evil Cyclist does not toss out his review stars willy-nilly.